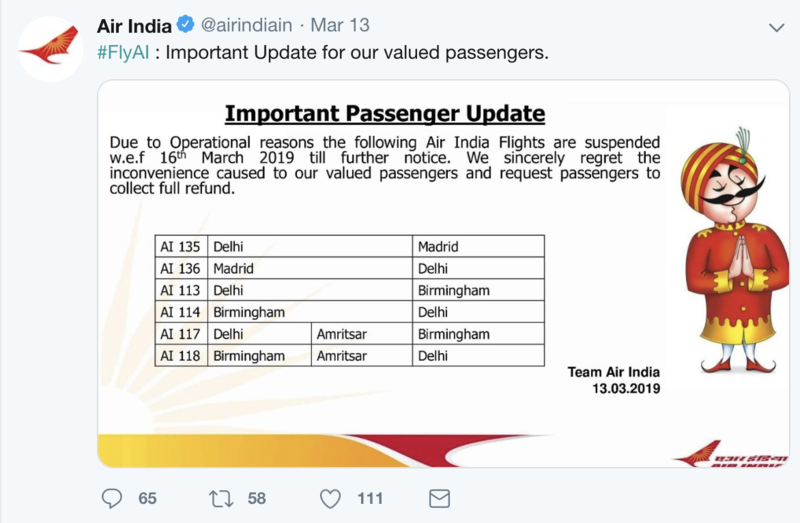 Air India has suspended its services from Delhi and Amritsar to Birmingham Airport blaming 'operational reasons'. It has also suspended services between Delhi and Madrid. It said these and a number of other services had been impacted by the closure of Pakistan airspace. The suspended Birmingham services are AI113, AI114, AI117 and AI118. Air India's four daily flights through London Heathrow will continue to operate.